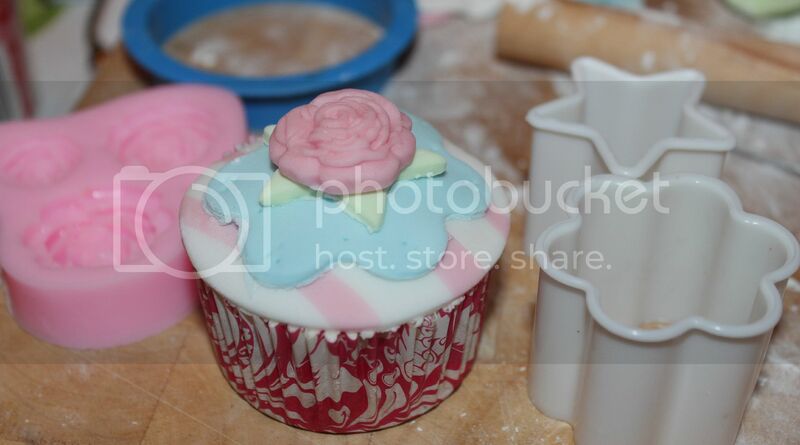 A couple of months ago I went on a Cath Kidston inspired cake decorating course at Cake Your Day. It taught me a couple of things that have made cake decorating much more simple and I thought I would share some of the hints and tips. 1. Use cupcake wrappers. There are loads of different wrappers on the market. These aren't as large as muffin ones but bigger than fairy cakes, making them easier to decorate. I just use a standard sponge recipe to make my cakes - although I do like to add chopped glace cherries of white chocolate drops to make them taste a bit more interesting. 2. Prepare your icing the night before. To make your ready coloured icing easier to handle and hard enough to stay in shape, you want to knead in 1/4 tablespoon of CMC to every 100g. When you use the icing the next day you need to knead it until it feels like chewing gum. To make a stripey effect roll out the white icing and then add rolls of the coloured stripe. Then roll again before cutting out your circle. Don't worry if it doesn't look perfect flat, as you will not notice when you put it on your domed cupcake, Make the dome using a generous amount of buttercream. 3. Invest in some silicon moulds. I was really pleased with my Lego cupcakes using one. Silicon moulds are usually really cheap and make the cakes look professional. I bought the rose mould from e bay for around £3. I just sprayed a little of Dr Oetkers cake release spray into the mould first and then added the icing. A quick knock with the rolling pin and the rose comes out. 4. Buy some cutters. It is best to go for metal ones. You can see here that my cakes weren't perfect as I used some plastic ones. The edges aren't as sharp as they would have been with metal. 5. Add a little bit of detail using a skewer to poke a lace type effect. This is so easy to do and makes a big difference. 6. Set aside some time. Making cupakes like this is quite time consuming - especially when you start. I made 6 cakes which from start to finish took around 3 hours! 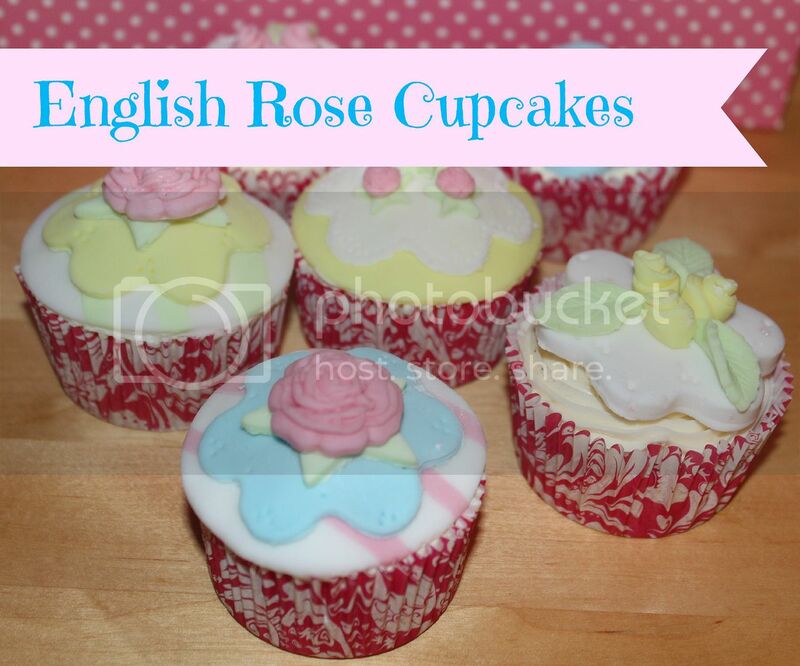 I hope you have found these tips useful and they can help you make some lovely cupcakes too.